The role of the Clinical Governance Committee is to provide advice to the CPA Group board and management to allow the CPA Group to best govern the provision of medical products and services to its clients. Each Clinical Governance Committee Member (Member) is to cooperate and use his or her best endeavours to provide advice which also assists the CPA Group to maximise the success of its business. Scott’s broad management and medical experience ranges from expat medical postings in Vietnam, Cambodia and Papua New Guinea through to medical oversight of multiple domestic remote medical sites for multinational clients and Government. 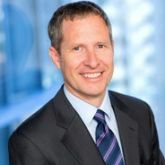 Scott spent the last 14 years with a leading international assistance company, his most recent role being Regional Medical Director (Australasia). Scott is the founding Medical Director for Hard Hat Health. Scott has complete medical oversight as Medical Director of the CPA Group, CPAG Health & Medical and Hard Hat Health. Samantha Pearce, a Registered Nurse of 12 years holding a Bachelor of Science from Curtin University of Technology (Western Australia). 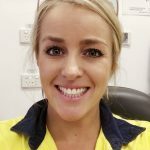 Samantha has extensive experience in the area of remote nursing, specifically working in mining, oil & gas and the construction industries often as the sole practitioner on site. Samantha has also completed a post graduate certificate in Disaster Healthcare through Flinders University (South Australia).